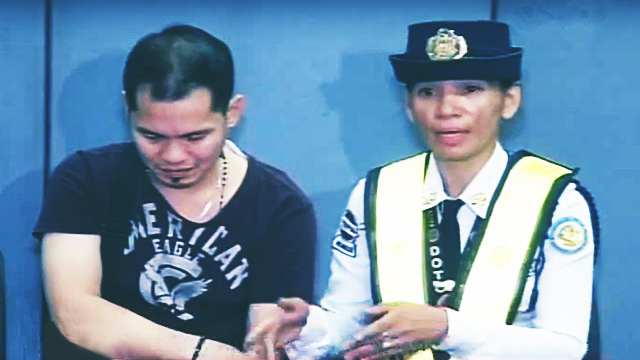 A cellphone technician was apprehended by authorities following a bomb joke he made at the MRT Guadalupe station on Tuesday morning. The individual was identified as 36-year-old Darcy Perodes. He admitted to the crime while profusely asking for forgiveness, GMA News reported. The MRT Guard on duty, identified as Marichu Camacho, said that Perodes made the joke while she was checking his bag at the inspection counter. Meanwhile, MRT station division chief Engineer Oscar Dongon said that bomb jokes, especially at a widely used mode of public transport like the MRT, are no laughing matter. “Ang MRT po ay isang mass transport system at ang dami po nating pasahero at kung iba ang pagkakaintindi ng mga tao, pupuwede po tayong magka-stampede at nalalagay po sa alanganin ang kaligtasan ng ating mga pasahero,” explained Dongon. Bomb jokes made at MRT stations are a violation of Presidential Decree 1727, which carries a maximum imprisonment of five years or a fine of up to P40,000. Perodes is the fourth person arrested this year in relation to bomb jokes at the MRT. Last month, an enlisted Army personnel was nabbed for making a bomb joke at the MRT GMA-Kamuning station.